A box oven is typically used with manual or Power & Free conveyor systems where heat treatment is a part of “step by step” finishing process. Box ovens are also used as standalone units into which the workpieces are transported for heat treatment using e.g. rollers and pallets or suspended directly from overhead fixture points mounted in the oven chamber. AABO’s box ovens are available for use at several temperature points. 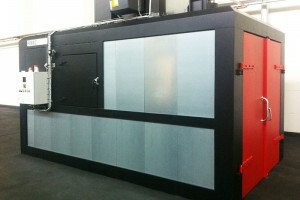 This means that these ovens are available in a variety of different insulation layers and constructions. A conveyor oven is usually used for semi- or fully automatic conveyor systems in which continuous heat treatment is required during the finishing process. AABO’s conveyor ovens are available for use at several temperature points. 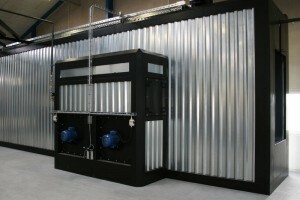 This means that these ovens are available in a variety of different insulation layers and constructions.